The Chairman’s Lounge access and Limo Transportation to and from the airport are provided complimentary as part of your reservation on select suites listed below. Provided complimentary as part of your reservation. Purchase this package for $150 per night. *Prices are subject to change during holidays and peak periods. Additional taxes may apply. Purchase this package for $100 per night. For questions or more information, please email us or call 702.693.7311. The Chairman's Lounge Arrival Experience is only available for specific Room and Suite Types listed above. If included in your room type, Luxury Airport Transfer will be arranged prior to your arrival. 24 hour notice is required for all transportation requests. A member from our VIP Services Pre-Arrival team will contact guests via the phone number or email address provided on your reservation. Luxury transportation options may include limousine or luxury SUV. Vehicle type is determined by Bellagio Resort & Casino (BELLAGIO). Transportation includes arrival from McCarran International Airport to Bellagio and departure from Bellagio to McCarran International Airport. Luxury Airport Transfer is not available on Fountain View King or Queen rooms. Chairman's Lounge is available only for guests staying in the bookable room types. Non-transferable and management reserves all rights. 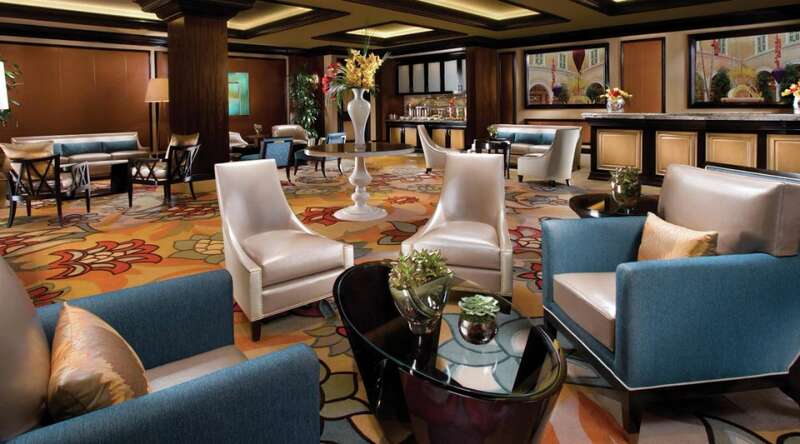 This experience includes curbside meet and greet, private registration through the Chairman’s Lounge, complimentary amenities and concierge services. Management reserves the right to cancel or change this promotion at its discretion without prior notice.